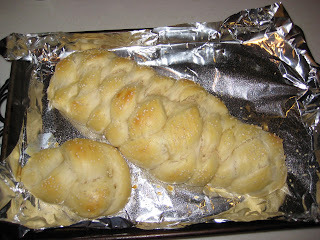 "Challah for Healing" was kicked off around 9:00 am, EST, in Maryland, USA, by one of my favorite people - Leor. She was unable to cook closer to the Sabbath, but wanted to participate. She sent me video showing how to make a 4-strand braid and a roll with a single strand. Thanks Leor! Leor mentioned that her and her husband like their challah "just baked so the inside is fully cooked but doughy." I like that too, but my husband prefers his consistent and loafy. I was considering making pretzels tomorrow. 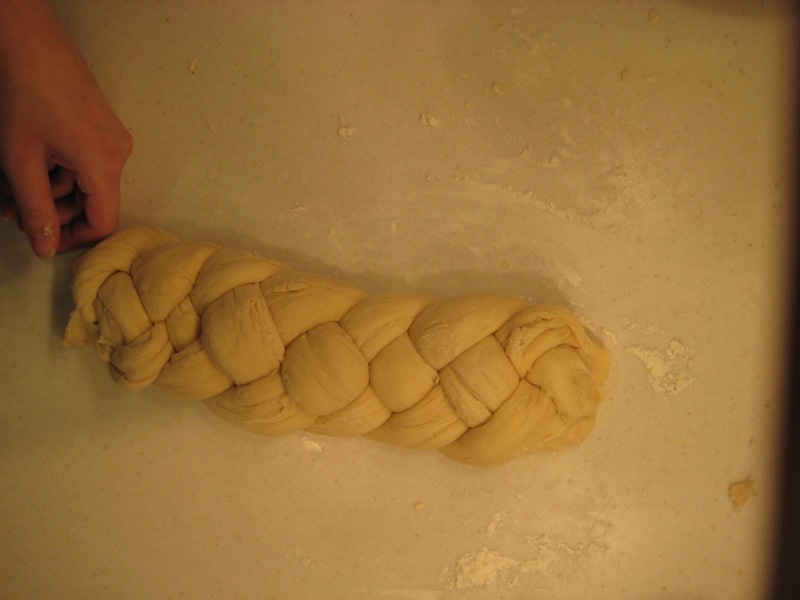 Any dough that uses at least 10 cups of flour is enough to make the blessing for the commandment to separate "challah", it doesn't have to be traditional egg bread. From what I gather, I can use any good pretzel, bagel, or pizza dough recipe that will give me a nice chewy dough. 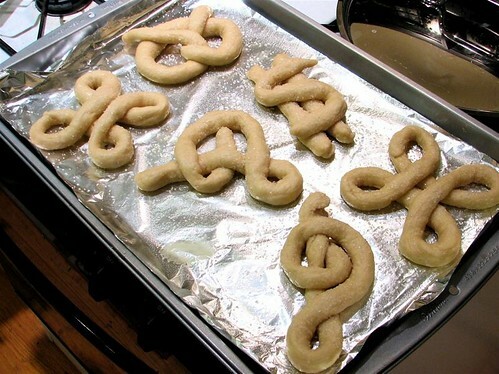 I shape the pretzels or bagels, give them a brief boil in baking soda water, then bake them. Doesn't seem too hard. I figure, once, I break out all that flour, what's a little boiling water? I'm thinking I might use the opportunity to have fun with some of my new spices. In Israel there is really no line between pretzels and bagels. They are all called "bagel'leh". Everything from big soft round bready things to little crunchy things covered in sesame seeds. Common toppings seem to be za'atar, salt, sesame, and something orange that might be like curry. If I can make a soft pretzel, I might try to fill them with sun dried tomatoes. If mine are coming out crunchy, I think I will stick to salt, sesame, and maybe add some honey. For more information on participating in the mitzvah of challah in the merit of a complete recovery for Nechama Gittel Chaya bat Chana, click here. For more Challah braiding techniques, see "Shaping and More."